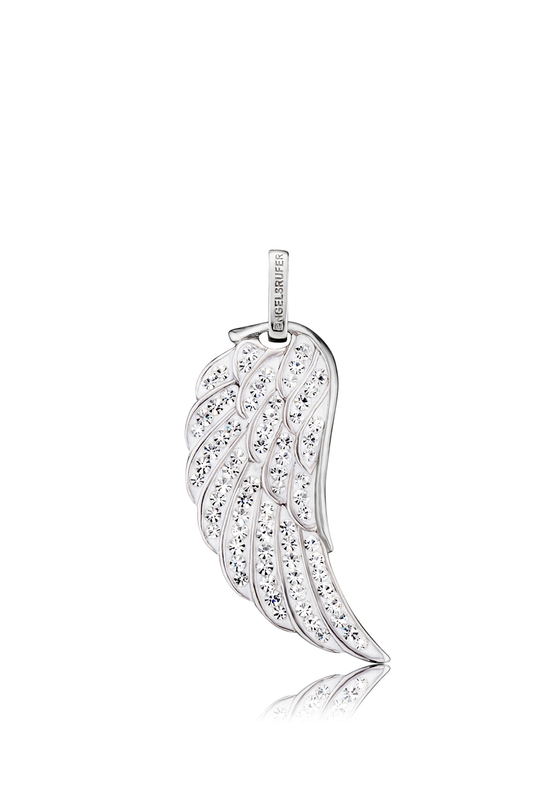 Hold your angels close to your heart with this Engelsrufer Angel wing. With stunning rhinestone’s and the wings outlined in a silver band this pendant will stand out in the crowd. This gorgeous pendant will look great on its own, or with a sound ball on your Englesrufer chain.